Fresh market fears about how the Brexit process would unfold, as well as UK political jitters and other factors bolstering safe haven demand, left the Pound Sterling to US Dollar (GBP/USD) exchange rate weaker last week. After opening last week at the level of 1.3212, GBP/USD edged higher in the first half of the week, before tumbling from Wednesday evening. GBP/USD briefly touched a fortnight low of 1.2997 before closing the week at 1.3043, much closer to March’s lows than its best levels. At the time of writing on Monday morning though, investors were selling the safe haven US Dollar and this helped GBP/USD to make a modest recovery to around 1.3075. Investors were hesitant to buy the Pound (GBP) too much ahead of the next major Brexit developments, but the US Dollar (USD) was sold as markets found risk-taking a little more appealing. Last week was yet another chaotic one for the Brexit process and for the Pound, and this week seems unlikely to be much different in that sense. The outlook for the Brexit process and even the UK government itself became ever murkier. The first round of Parliamentary indicative votes over the process ended up with none of the amendments passing. UK Prime Minister Theresa May even announced that she would step down for the next round of the Brexit process, in attempt to help bolster her deal’s popularity with the hard Brexit-supporting wing of the Conservative Party. However, even then the government’s Brexit plan once again failed to pass, during a Parliament vote on the Withdrawal Agreement on Friday. Markets are now looking ahead to what’s next for the indicative votes process and the government, but with the formal Brexit date set for the end of next week it is speculated that a longer Brexit delay may become necessary. Much of the US Dollar’s strength last week was due to market demand for safer assets, as global news made investors hesitant to take risks. The fresh Brexit uncertainties and political concerns, combined with bets of interest rate cuts in Australia and New Zealand, left investors more eager to buy safe haven currencies like the US Dollar. The safe US currency also benefitted from the latest chaos in the Turkish Lira (TRY), as the risky emerging market currency plummeted throughout the week. As a result of the latest safe haven demand, the US Dollar was solidly appealing despite a lack of particularly impressive US data. However, this morning saw risk-correlated demand rebound slightly as the latest Chinese manufacturing data beat expectations. This left the US Dollar a little weaker at the time of writing. 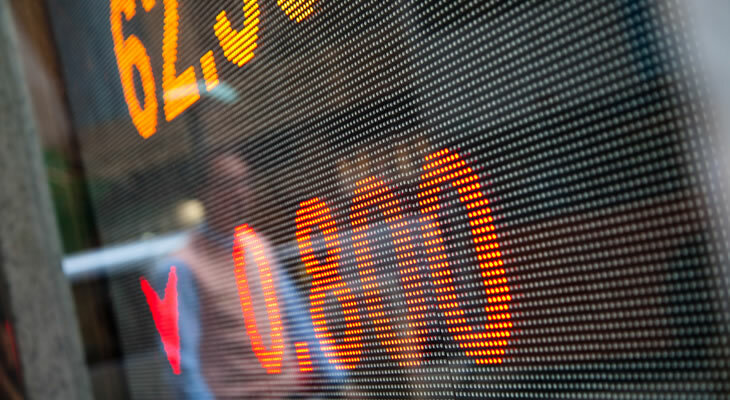 The Pound to US Dollar (GBP/USD) exchange rate is off to a fairly steady start this week, but with major Brexit developments likely later today, as well as influential US data, the pair’s trajectory could quickly change. UK Parliament’s second round of indicative votes is designed to help politicians to find a way forward regarding Brexit. However, after last week’s indicative votes all failed, there is uncertainty over whether any of the proposed amendments will pass the second time either. If the amendments fail and Parliament struggles to decide a way forward, the Pound may be in for more losses as uncertainty takes hold. In this outcome, the government may be pressured into a longer Brexit delay that would mean Britain needs to take part in upcoming EU elections. It would also increase the risk of a UK general election, a negative for Sterling. US Dollar investors are anticipating this afternoon’s key US retail sales and manufacturing PMI data. If these stats fall short of expectations, the Pound to US Dollar (GBP/USD) exchange rate may find it easier to avoid losses.